It has been a really hectic couple of months. Finishing off the school term, a couple of academic papers and a major conference presentation in Doha, Qatar has kept me running. Doha is an amazing city and I loved being there. Keep your eyes on Qatar – economy moving at light speed and dedication to education and health care. An idea that a few other countries (like Canada) should keep in mind! One last conference keynote was on the agenda before the next adventure of teaching in Copenhagen at the Business School this summer. The Journey 2 Success Women Entrepreneurs Conference in Oakville, ON was a couple of days ago and what a delightful treat it turned out to be! Not only a great conference, but found a treasured gem that now has an honored place on my bookshelf. The luncheon speaker was Barbara Stegemann of Halifax, Nova Scotia. Her book, The 7 Virtues of a Philospher Queen tells her amazing entrepreneurial story. Barb started a perfume company that purchases its perfume oils from war-torn regions of the world and her motto is “Make Perfume Not War”. She believes that we can use our buying power to empower families in those countries that are rebuilding after conflict or any other disaster. The book is dedicated to a close friend who was wounded in Afghanistan – you have to read the book to find out more! Great storytelling, sound enterpreneurial advice and social innovation make a great read for the summer. I love her story and the 7 Virtues Fragrance selection to my nose, is a winner. I am sorry to report I have left my favored Jo Malone perfumes for another woman. My choice was a harmonious blend called “Middle East Peace” – a combination of grapefruit, lime and basil that is just yummy. Available at the Bay stores in Canada and Lord & Taylor in the US. You can get the books online (link above) or purchase at the Bay or Lord & Taylor’s while you are testing out the perfumes. Just think, buying a bottle of perfume as a way to reduce conflict. Teaching people how to fish instead of giving them ‘aid’. Social innovation at its best! Great book. Great perfume. Great woman!! I have to admit I’m getting a little nervous. In a couple of weeks (or as my niece calls it – 15 more sleeps), I am getting on a plane for Doha, Qatar to speak at the Global Innovators Conference in Education. Certainly one of my passions and pet peeves at the same time. Education needs reform the same as our economy – and if you work in any large organization – you know how difficult it is to change bureaucracy. One of my favourite authors to read when feeling discouraged is Tony Wagner. His previous book, The Global Achievement Gap, outlines some of the changes currently taking place in education (reviewed last year). It might be slow but it is steady and we need all the support we can get. In Creating Innovators, he speaks to both educators and parents as to how to keep that wonderful creative spark alive in all of us. He provides countless examples of school programs that encourage both art and science – both sides of the brain – that spur creative and critical thinking. He also has included video content right in the book – technology working at its best. Download the Microsoft Tag Reader into your phone and you can watch various interviews with both Tony Wagner and many other innovators he has interviewed for the book. Available in both the Kindle edition and hardcover, this is a great read to add to your library of how to make the world a better place. I’ll let you know what happens in Qatar – some incredible work being done in education world-wide. So, patience for a little while longer. We are working as fast as we can to bring about educational reform. Interested in creating a corporate culture that outperforms your competition? 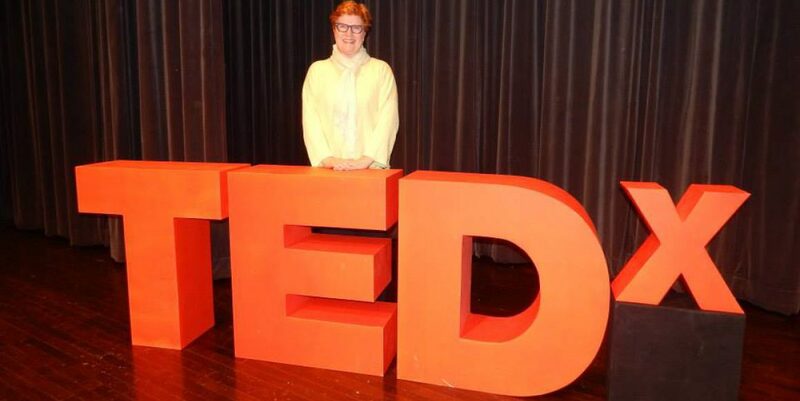 Ann Rhoades has shared her experience with companies such as JetBlue and Southwest Airlines and reveals how leaders can create a winning environment. 4. following through on commitment and keeping promises. Written in easy to understand language, this book is a gem! If you have ever participated in a merger, you know the difference between heaven and hell. Unfortunately, about 75% of M&A activity in North America fails. How to shift the results to a better outcome? 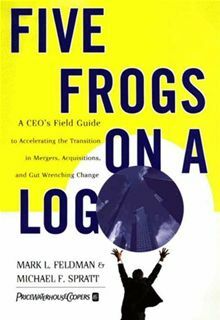 Mark Feldman and Michael Spratt from PriceWaterhouseCoopers have produced an interesting book on how to avoid a negative outcome. Its a fun read, doesn’t pull any punches and delivers a no-nonsense approach to getting the job done. The advice provided can be used to solve current operational issues or speed up new product development. Not written in consultant-speak, but plain ordinary english. A great little tool to have in your library! Ginger Grant is a professional keynote speaker and expert on corporate culture and the only Canadian in the Stanford Creativity in Business teacher/trainer/consulting group. Interested in hearing more about corporate culture and how it can transform your organization. Contact her today. Canadians are once again returning to the polls – an interesting question to ponder is why? Same politicians, same issues, same political rhetoric which is deteriorating into childish mud-slinging. Have we now deteriorated into the cheap methods of American politics? Please let it not be so! Andrew Samuels has written an interesting book entitled the Political Psyche. Samuels explores the connections between inner and outer worlds and sets into motion a two-way dialogue between depth psychology and politics which addresses such key concerns as market economies and our attitudes towards social responsibility and environmentalism. Perhaps our politicians should take heed and update their reading load walking into this next election. For all those who are “Jung at Heart”, this is an interesting read.